One of the biggest energy stories this year has been Russia’s Rosneft buying India’s Essar Oil — giving the Russian company a firm grip on one of the world’s biggest emerging oil and gas markets. And this past week, that story got more complex. With Rosneft striking another big deal — drawing in another heavyweight energy nation. Rosneft announced Friday it is selling a significant chunk of its equity to Chinese investors. In this case, little-know exploration and production firm CEFC China Energy. Although few investors know CEFC, the company is bringing significant capital to the deal. With the firm agreeing to pay $9 billion to acquire a 14.16 percent stake in Rosneft. The deal is historic in being the first major buy-in by China into the Russian oil and gas sector (although Chinese firms have been involved in financing LNG export projects in the Russian Arctic). 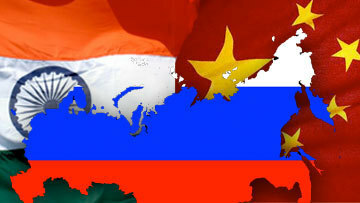 Showing the strength of the ever-growing ties between Russia and China in the energy space. Rosneft and CEFC have been at the center of that burgeoning relationship. With the two companies having signed a deal this past September for long-term supply of Russian crude into China. This week’s equity purchase further cements those business ties. And shows that China sees Russia as a critical ally in the energy game going forward. But there are implications well beyond these two countries. With China now having backdoor access into markets like India — through Rosneft’s recently-acquired holdings in that country. That’s a critical development for the world energy picture. Given that Chinese companies haven’t directly gained much access into India — despite the nation being one of the most important emerging players on the energy stage. Ownership in Rosneft could help change that. And could open up opportunities in other parts of the world — with Rosneft currently having operations in places ranging from Egypt to Brazil to Venezuela. An intriguing side note to the story: CEFC is buying the Rosneft stake from Glencore, and Qatar’s sovereign wealth fund. Who reportedly purchased the interest just nine months ago — for $12 billion. That means these holders are taking a 25% loss on the sale, less than a year after buying in. But in the meantime, Glencore was able to strike a lucrative deal to trade Rosneft’s Russian crude — probably making up for the losses on the Rosneft equity, and then some. All of which shows just how complex things are in this rapidly-changing corner of the energy world. Watch for more China-Russia energy deals — and emerging influence from these two energy superpowers in other key markets like India.